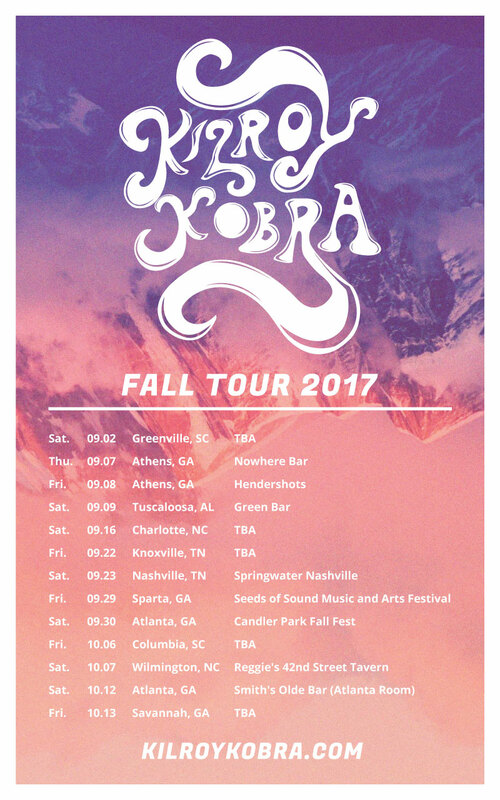 Website for local Atlanta psych rock group, Kilroy Kobra. 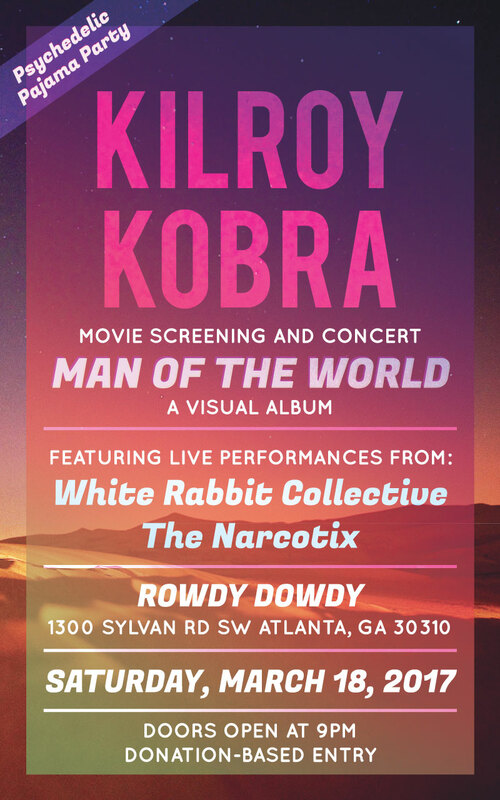 A website built for Kilroy Kobra. 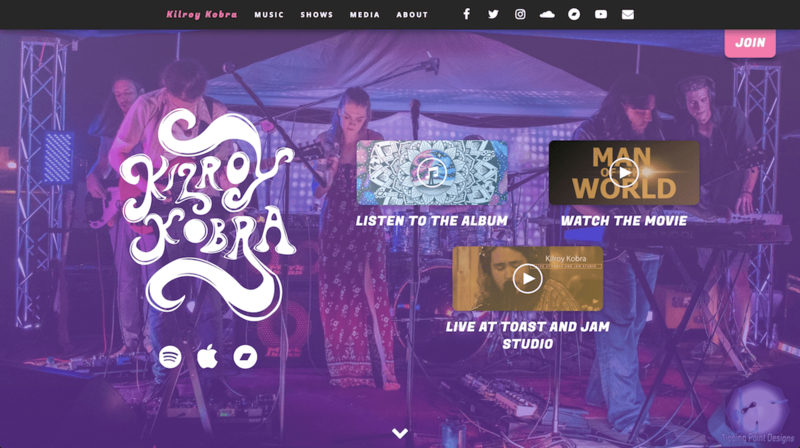 The site complements their social media platforms and is a hub of info about the band, including show dates, album releases, videos and photos. This project was completed in close collaboration with the band and includes features such as a newsletter signup form, Spotify embeds, and custom lightbox modals. The site is fully responsive, keeping in mind that most of Kilroy Kobra’s fanbase will be interacting with it on their mobile devices. I've also worked on several posters for the band. Here are two examples.